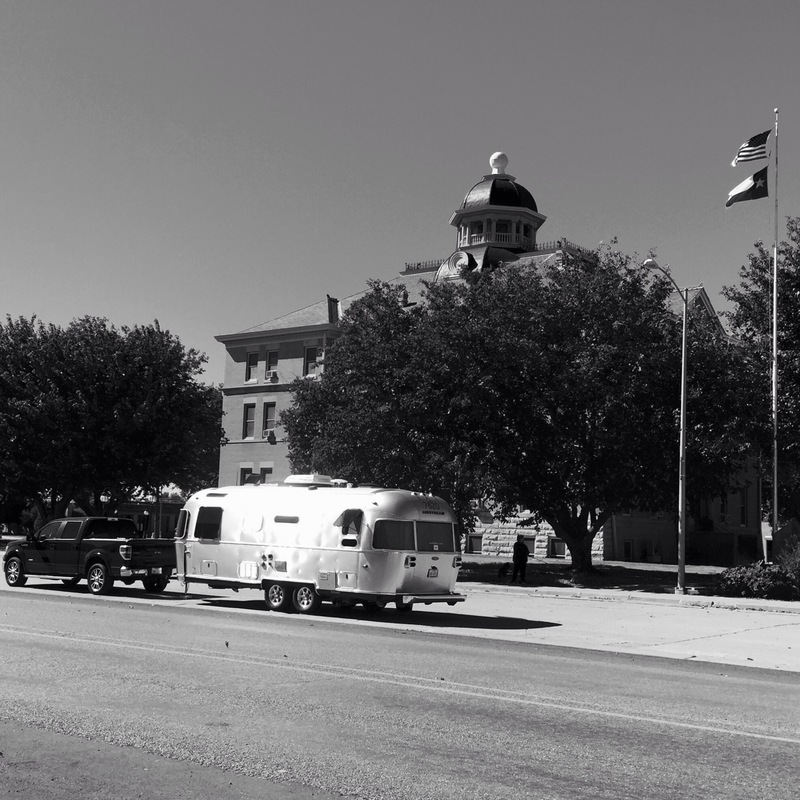 The hundreds of visitors who camped around the Hardeman County Courthouse in Quanah, Texas, are all gone now, leaving Cloud 9 as the lone witness to a weekend of activities, acquaintances and all-things-Airstream. 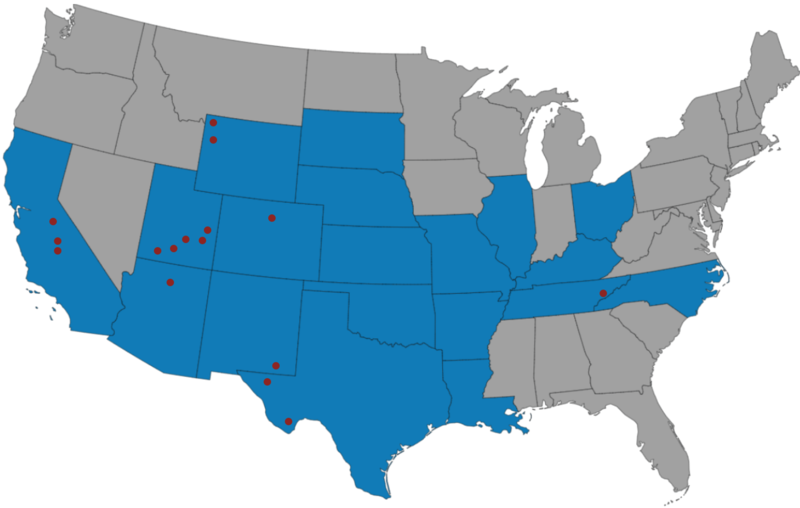 It was our first regional rally, and our first experience “boondocking,” or dry camping–that is, camping without water, electrical or sewer hookups. Surrounded by so many seasoned pros, however, our first attempt at “roughing it” turned out fairly smooth. Quanah is a small town about 12 miles from Oklahoma. It was named after Quanah Parker, the last Comanche chief. His mother, Cynthia Ann Parker, was captured by the Comanches when she was 9 years old and raised as a Comanche. She eventually married Chief Peta Nokoni and gave birth to Quanah. In 1860, she was “rescued” by the Texas Rangers on the Pease River, taken against her will, leaving the young Quanah motherless. He never saw her again. In 1875, recognizing the need to work peacefully with settlers, Chief Quanah opted for cooperation over combat, laying down his arms and turning his back on warfare, at Fort Sill, Oklahoma. He eventually became a tribal judge, a cattle rancher, and a friend of President Theodore Roosevelt. In 1890, the town of Quanah was named in his honor. Hardeman County was created shortly after Quanah was born, in 1858, and named for early Texas legislators Bailey and Thomas Jones Hardeman. In 1884, when the county’s population had increased enough to have a formal county goverment, the nearby community of Margaret was chosen as the county seat. But after the Fort Worth and Denver City Railway laid out the townsite of Quanah along its line, county voters elected to move the county seat to Quanah. A 1904 bond election secured the $48,000 needed to construct the current county courthouse, which provided a fine backdrop and anchor for our weekend activities. The neoclassical building of glazed tan brick features a domed cupola, stone lintels over the windows and ionic columns flanking the entryways. Its meticulous restoration, completed just in time for the rally, cost $6.9 million. The people of Quanah, indeed of all Hardeman County, are rightly proud of their historic landmark. We arrived for Day 1 amid a driving rain and quickly set about establishing our weekend home. Cliff registered our names and picked up our goody bag, and we were soon meeting and greeting other Airstreamers who had come from throughout Texas and Oklahoma. Hotdogs at the firehouse didn’t seem nearly as appealing as chicken grilled on the MiniMax, se we politely excused ourselves. Apparently, it was the right choice. Dozens of passersby commented on how they wished they had what we were having. Entertainment was provided by the Dixieland Rowdys and the Santa Rosa Belles. Again, we opted out, choosing instead to sip wine and listen to Diana Krall. The one thing that actually interested us, a screening of the Lucile Ball-Desi Arnaz classic, “The Long, Long Trailer,” was cancelled due to lack of interest. Day 2 brought the official greeting ceremony, with Quanah’s mayor and the Hardeman County judge offering words of welcome. By far, the most delightful part of the ceremony was a patriotic concert by local elementary school children. We enjoyed home-made cake, compliments of the Quanah Chamber of Commerce, and a self-guided tour of the newly restored courthouse. A seminar on tire safety was somewhat deflating, so we returned to Cloud 9 our regular Date Night routine. While others were eating overdone brisket and listening to the Texas Country Opry belt out Patsy Cline tunes, we enjoyed a grilled ribeye, baked potato and asparagus, while listening to Ella Fitzgerald. Day 3 found us sleeping late and lounging around Cloud 9. Seemed like a better alternative than the 8 a.m. golf scramble or the 9 a.m. walking tour ofdowntown Quanah, especially considering the weather turned windy and cold. We also opted out of the Car, Tractor and Truck Show, the Welding Trailer exhibit, the introduction to amateur radio, the rain barrel conservation seminar and the medical helicopter air evacuation demonstration. Brunch sounded better. When we finally emerged, at 1:30, we were just in time to witness the Indian raid, which consisted of one very handsome cowboy and two young girls dressed in Indian costumes meandering through the rally site on horseback and pausing for pictures. We mixed and mingled with other Airstream owners at an old-fashinoned ice cream social and then retired to Cloud 9 for a generous nap. Rather than partake of the pulled pork sandwiches and listen to the Brian Francis Big Band salute to Frank Sinatra, we opted for grilled pork chops, cob corn, Italian pole green beans, and cole slaw salad with our friend David Boyd while listening to American standards by Rosemary Clooney and Margaret Whiting. At the Awards Ceremony and Closing Statements, we became the proud recipients of a “Dominator” door prize. The 15-foot sewer hose would more appropriately be called the “Eliminator,” but that name is apparently already in use. Day 4 saw temperatures dipping into the 40s, providing a perfect reason for some serious snuggling. Many fellow Airstreamers started departing at first light, leaving us feeling like we were inhabiting a ghost town. Apparently that’s how Quanah is on a typical Sunday: Blessedly quiet. Being in no particular hurry, we said our goodbyes to a few friends and spoke at length to the event organizer before finally packing up and heading for home. A few lessons we learned at our first boondocking event: First, if you ask five Airstreamers the same question you’ll get five different answers. Second, a hacking/coughing/spitting neighbor can ruin a perfectly peaceful evening, and afternoon, and morning. Heck, he can ruin the entire weekend. Third, never leave home without a full tank of fresh water. October 25, 2015 in Adventures, Cloud 9, Destinations, Musings.